Each week I look for the one thing that stood out, be it a glass of wine, a particular dish or a unique experience as the Please The Palate pick of the week. A couple things came to mind this week but in the end, one of the coolest things was to visit San Antonio Winery in downtown Los Angeles. 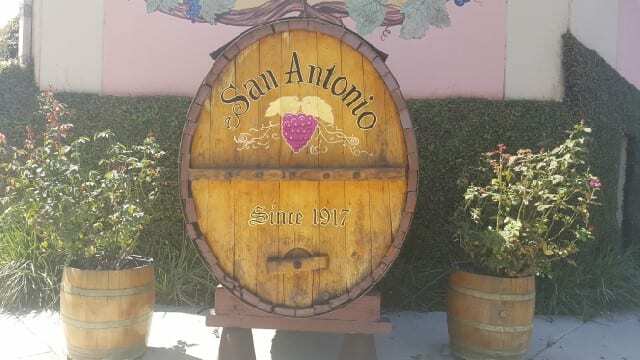 Celebrating their 100th birthday, San Antonio Winery is the Please The Palate pick of the week. The 69th Primetime Emmy Awards took place this past week. The celebrities were out in full force, dressed in their very best, for a night of glamour and recognition. Naturally, with all the celebrating, there were a lot of toasts being made. And with each toast, the glasses were filled with Ferrari Trento sparkling wine, adding a touch of Italian style to the night. But Ferrari Trento is a family-owned business. Ferrari Trento was founded by Giulio Ferrari in 1902 who had studied in France, where he learned about Champagne and the metodo classico (Champagne-method). Returning to Trentino, Giulio Ferrari was the first person to understand the potential of the Trentino mountains and was the first to bring chardonnay and pinot noir to the area. Giulio Ferrari ran the winery for 50 years and every bottle he produced was a work of art. 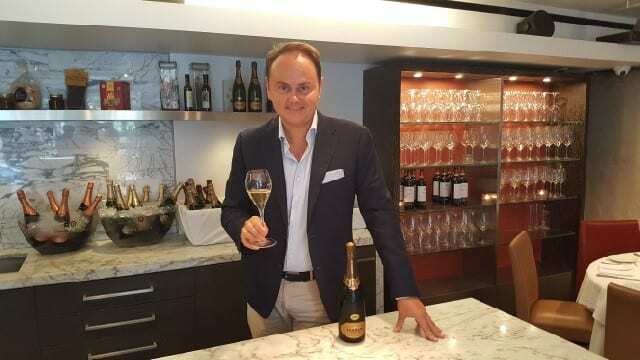 Unfortunately, Giulio Ferrari did not have any heirs so he decided to sell the winery and selected Bruno Lunelli, a wine merchant in Trento, as successor. The Lunelli family took over in 1952 and today, President and CEO Matteo Lunelli is the third generation to run the winery. When you think of German wine, you most likely think riesling. And when you think of riesling, you probably think sweet wine. Yes, there are sweet styles but not all riesling is sweet. In fact, there are many dry rieslings, and dry wine is what the German people prefer to drink. So, how can you tell when a riesling will be sweet or dry? By the labeling. The labeling of German wine that you might be most familiar with, and the most confused by, is their Prädikat wines, which are based on ripeness level designation, such as kabinett, spatlese, auslese and beerenauslese. But in 2002, and then updated in 2006 and again in 2012, the VDP, an association of Germany’s best producers founded in 1910, established a new classification system based on the Burgundian system of Grand Cru and Premier Cru vineyards. Germany has four tiers – Grosses Gewächs (Grand Cru vineyards), Erste Gewächs (Premier Cru vineyards), Ortsweine (village level) and Gutsweine (estate wines). Gross Gewächs vineyard sites are where the best dry riesling comes from, and they are noted on the bottles with an embossed GG. The small region of Nahe, as I discovered on a recent trip to Germany, has a vast array of dry rieslings. Nahe, located between the Mosel and the Rhine Valley in southwest Germany, used to be part of the Rhine but was declared an independent region in 1971 and started to get interest 20 years ago. Located at the 41-45 parallels, Nahe is more northern than Canada. The temperature in Nahe is mild, with lots of sunshine and low rainfall, allowing the grapes to fully ripen and be vinified dry.